Coral Snow is a widely used secondary biological filter that helps increase the clarity of your water and now Coral Snow Plus has the same filtration benefits while reducing phosphate levels in reef tanks! 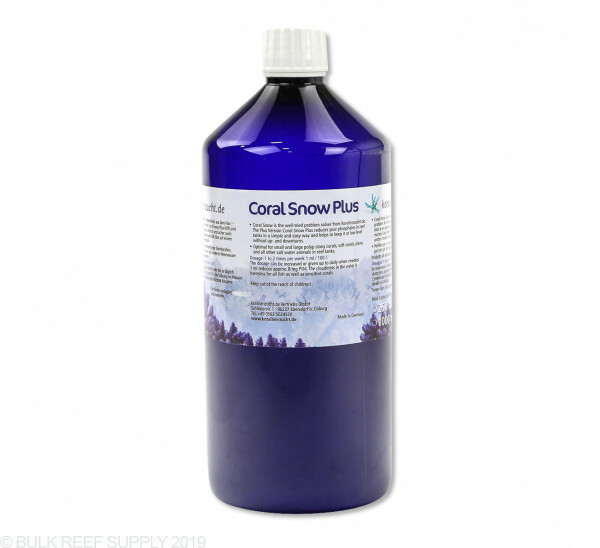 If you have ever used Korallen-Zucht additives, you know they use some of the highest quality components and materials available, and are always coming up with new methods and additves to help make reef keeping easier. 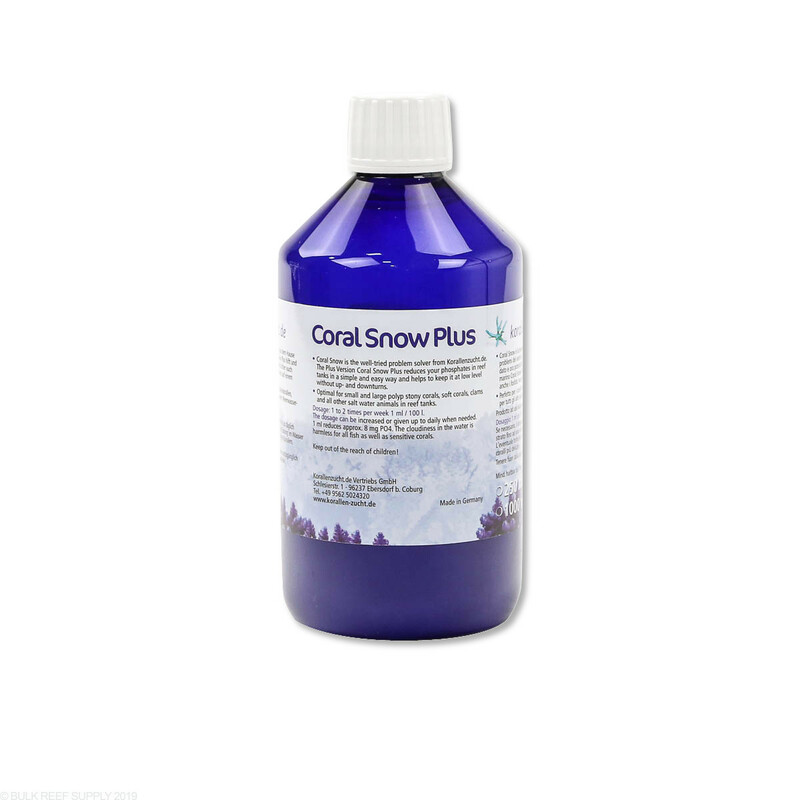 Coral Snow Plus is exactly that, an easy to use liquid clarifying solution that will now help reduce and stabilize phosphate levels in saltwater aquariums. Recommended dose is 1mL per 27 gallons (100L) up to two times per week. Cloudy water is normal after dosing Coral Snow Plus and is harmless to fish, corals, and invertebrates. 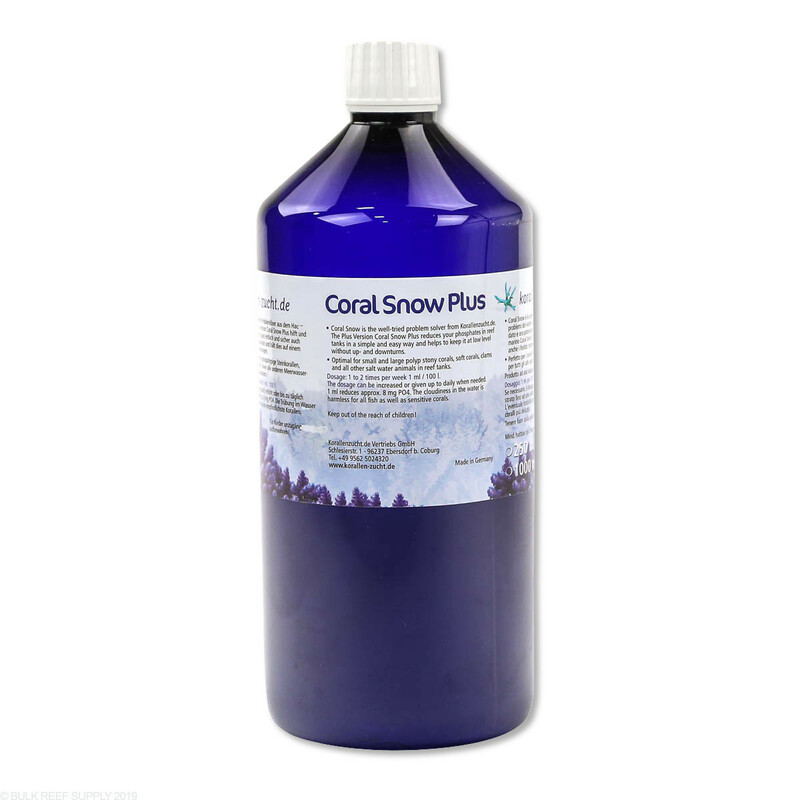 Refrigeration is not necessary for Coral Snow.